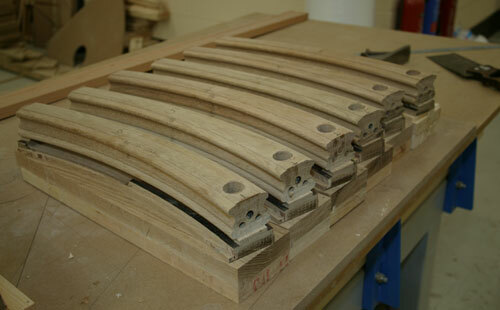 Here are some pictures of some Wreathed handrails being assembled in our workshop prior to dispatch. 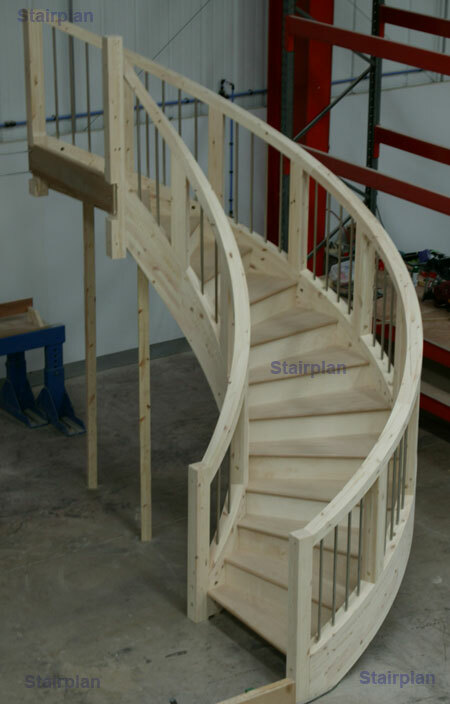 Wreathed handrail is very complex as the handrail profile has to follow the curve and the rise of the staircase whilst keeping the profile level. 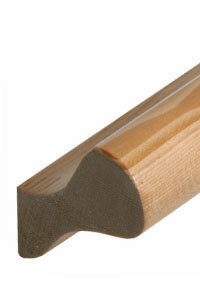 Otherwise known as a Geometrical Handrail. 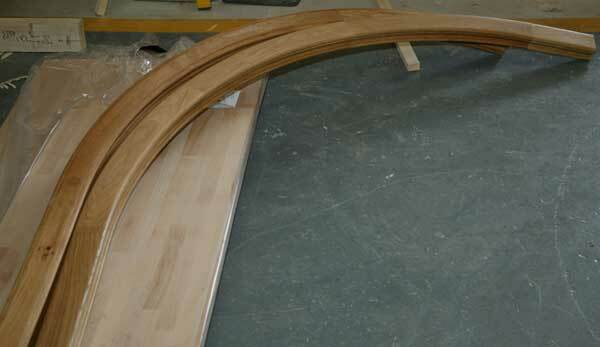 These are the sections of wreath prior to hand finishing. 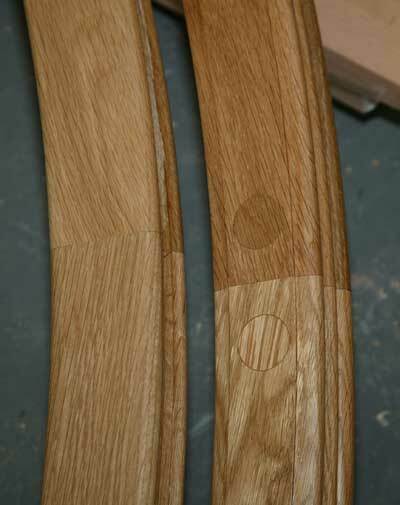 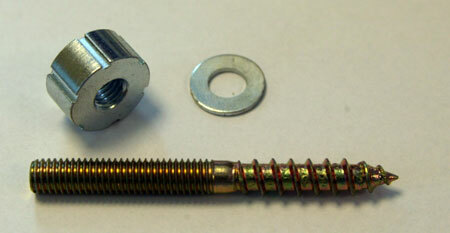 These are CNC machined to size with the correct end cuts and end drillings to simply bolt together, the only manual work is cutting the wrethed section from the block used to hold the handrail whilst machining and then sanding the components once they have been jointed. 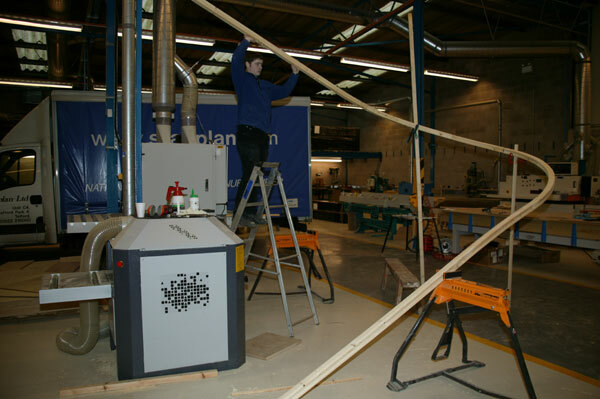 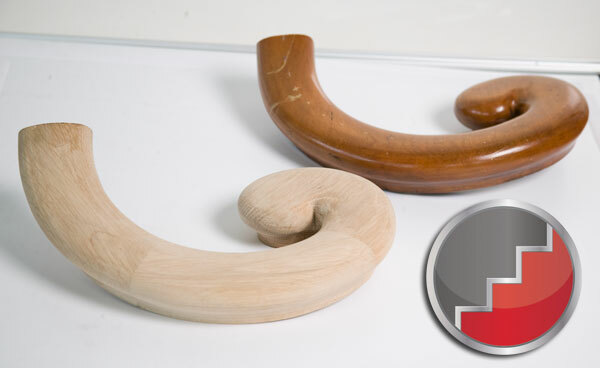 When we generate our CNC code to produce the wreathed handrails we use specialist staircase software - this enables us to cut the handrail components with the exact angles and curves to fit the staircase we are designing. 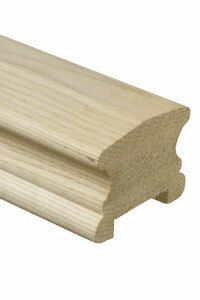 Note - Stairplan will only Manufacture Wreath Handrails with the complete Staircase. 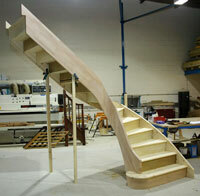 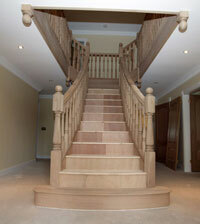 Bespoke Staircases. 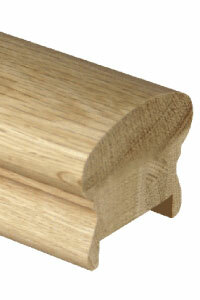 Bespoke volute handrail fitting machined to match the existing section.